What is the Microsoft .NET framework? 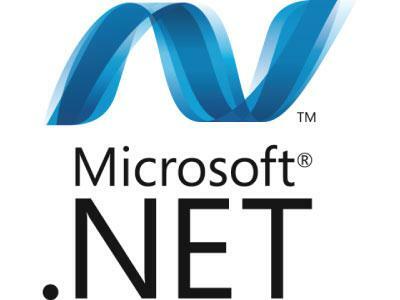 Microsoft .NET Framework is a project originally started by Microsoft during the 1990s. The original name for it was Next Generation Windows Services. Though it was renamed to Microsoft .NET Framework quickly thereafter during the grand unification of all Microsoft programming products when Microsoft started adding to term .NET to just about everything. Simply put, it is a programming framework that Microsoft released for the Windows operating system that allows software developers to create applications easier than ever before. In layman's terms, Microsoft .NET Framework is a collection of programming functions that programmers can pull from without the need to write it all on their own. If an application requires the .NET Framework, the latest version will have to be installed on their computer in order for it to properly run. The framework itself is part of the Windows operating system and thus is automatically updated if the user gets automatic updates from Microsoft. This makes life easier for developers as they don't have to worry about distributing the .NET Framework with the software they develop. Microsoft .NET Framework comes with a variety of different components that make the development of applications as easy as possible. One of these components is the .NET Framework Class Library which, as its name suggests, is a library of interfaces, functions, reusable classes, value types and more. In the Microsoft world software development is typically done in one of two primary languages, VB.NET or C#. Behind the scenes both of these languages get converted into a common intermediate language called the MSIR (Microsoft Intermediate Language). Then the program gets converted one more time into zeroes and ones that the computer hardware can understand. Both C# and VB.NET rely heavily on functions found in the .NET Framework. The Framework Class Library provides benefits for programmers like math functions, memory management, security, exception handling, user interface widgets, internet services, ability to access data in databases, and much more. When an application is created with Microsoft .NET Framework, it is usually done so through a combination of the .NET Framework and the source code that developers have written themselves. Applications written with the Microsoft .NET Framework are typically built with Microsoft Visual Studio, which is a development environment used to build computer programs that are intended to work on one of Microsoft's Windows operating systems. Microsoft Visual Studio itself includes many functions like a debugger, a code editor and more.